This Mastercraft Xanadu rug in bright red colour has a super soft shaggy pile that is deliciously thick and ideal for creating a luxury cosy look. The long silky pile sits high on the floor adding depth and glossy texture which is great for adding the wow factor without going overboard. 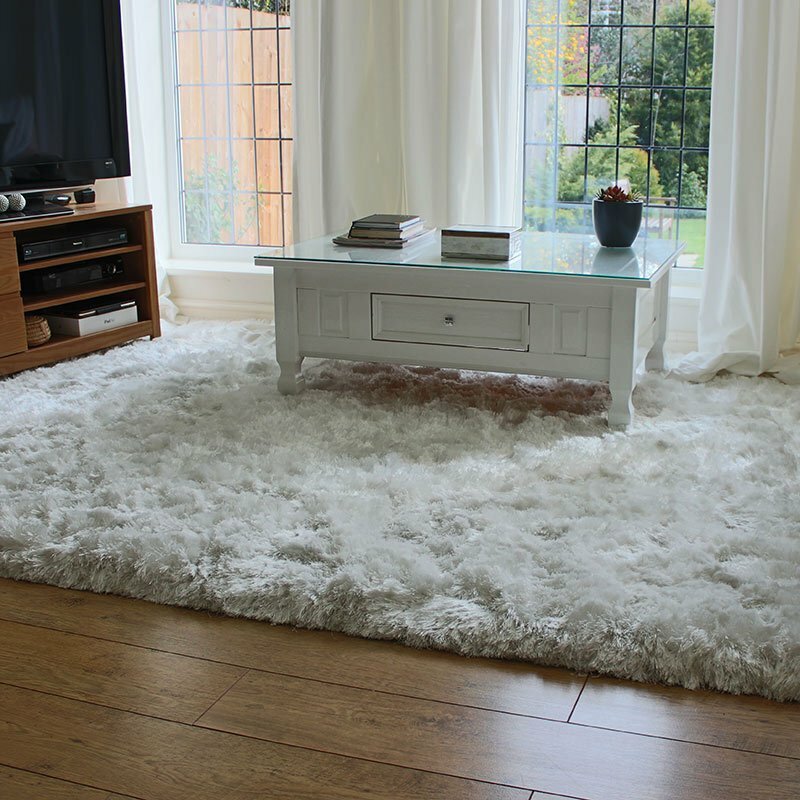 Hand tufted and with its pile mix of microfiber and Heat set Polypropylene; Xanadu rugs bring a luxurious look to the floor while providing a durable floor covering that will look simply stunning for years to come. Xanadu will provide a seductively lush look in bedrooms, front and living room areas or any space of the home needing a welcoming look. 120x170cm size on Special offer - when it's gone its gone - Was £141.69 - limited stock available at £75!